Are you a die-hard YouTube viewer? Maybe you are longing to watch those videos peacefully right from your sofa. With YouTube TV you turn your monitor or television into a real YouTube TV! How To Use YouTube TV? If you are like me, to cheap to buy a new television, because your old tube with VHS combo – which you never watch anyway – still works (! ), then forget all about this! YouTube TV works great on a big computer monitor or new television with internet connection and browser. YouTube TV lets you watch a continuous flow of full screen, high definition YouTube videos, while you are lounging in your comfy chair. Go to the site (http://www.youtube.com/tv) , log in with your YouTube or Google account and you can start watching your favorite videos without having to get out of the sofa. Navigation through the menus and videos is not done with your regular mouse. You just use the arrows and “Enter” button (or “Esc” to return) on your keyboard or your television’s remote control. You can also pause videos, rewind or fast forward. If you are the proud owner of an Android smartphone, you can download the app YouTube Remote from the Google Play app store (https://play.google.com/store) to use your smartphone as a remote controller for your YouTube TV screen. When you start the app for the first time, you log in with your Google account. Next the app will ask you which screen you want to control. 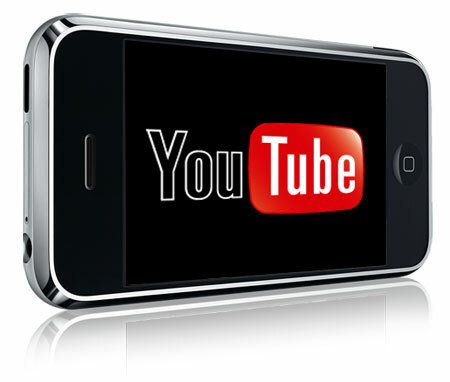 Open YouTube for Mobile (m.youtube.com) in the browser. Touch Menu Grid at the top of the Home page. Touch located at the bottom of the page. Enter the pairing code shown on YouTube TV. You may choose to enter a name for this screen in the second field. Touch Add Screen. On your mobile device, you can now select a video to watch on YouTube TV! You even have the possibility to alter the volume levels with the volume buttons of your smartphone. If you are the happy owner of an iPhone, you don’t even need to install an app. You can control your YouTube TV screen right from your browser. Just follow the same 5 steps as mentioned above and from that moment on you are ready to select videos from your iPhone and watch them on your YouTube TV!